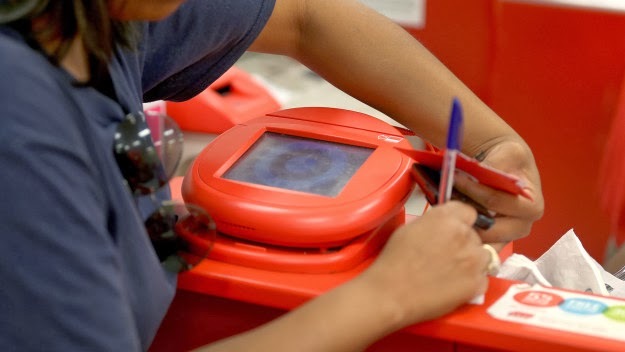 40 million was the initial estimate of Target customer card accounts accessed by scammers. Now the estimate has been raised to 110 million! I used to shop at Target many years ago. It's been at least 4 years since I've been in a Target store. But this news still makes me a bit nervous, because I have no idea how long Target keeps credit card info in their databases. Most of my cards have new numbers now, but who knows. These scam artists are scum, but they are not stupid. Back in 2008, I treated a new friend to lunch at Red Lobster. I paid the bill with my Chase debit card, a card that's linked to my business checking account. As is the custom in the USA, the waitress took my card, disappeared with it, then returned to my table for a signature. She was acting a bit strange; shifting eyes and somewhat hurried, but I thought nothing of it. And that was the first time I've ever been a victim of a credit-card scam. That waitress used one of the widely available, and very portable, card readers, to get my digits. I got my money back, after faxing a reasonably simple, but still annoying, form. But the incident was a real wake up call for me. Using the debit card attached to my business checking account for such transaction was something I would never do again, I pledged to myself. Way too risky! Now here's a very interesting difference between Europe and America: when you're ready to pay your restaurant bill with a credit or debit card, the server will bring the credit card terminal to your table! Your card never leaves your line of sight. Europeans are also ahead of the game with their adoption of smart cards. Comparing magnetic strip payment cards to smart chip cards is like comparing audio cassette tapes to a digital music player full of MP3's. American credit-card banks have been resisting the smart card thing, which really doesn't make sense to me. Surely the cost of upgrading is less than the cost of dealing with payment-card fraud! 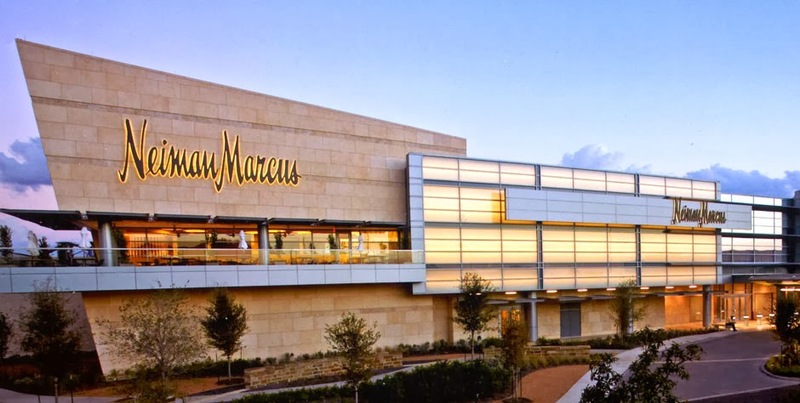 Fast forward to today: luxury retailer Neiman Marcus reports a serious payment-card related breach. All this card fraud seems to be focused on the 2013 Xmas shopping season.